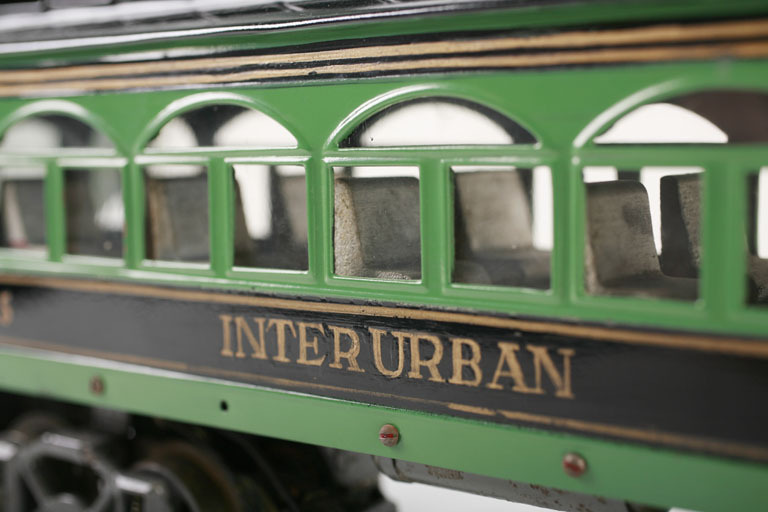 It all started on an interurban car – at least Eva’s part of the story. Before I go much further with Eva’s biological parents and ancestors, I want to bring the story up to date and add a few items that have just come to my attention. Twenty years ago a mother gave away her three day old baby girl at St. John’s hospital. She could not support the baby and a woman who chanced to visit the hospital offered to adopt the child. Now, twenty years later, fate has been kind to the woman who sacrificed her child that it might be reared in comfortable circumstances and she is now seeking her daughter. 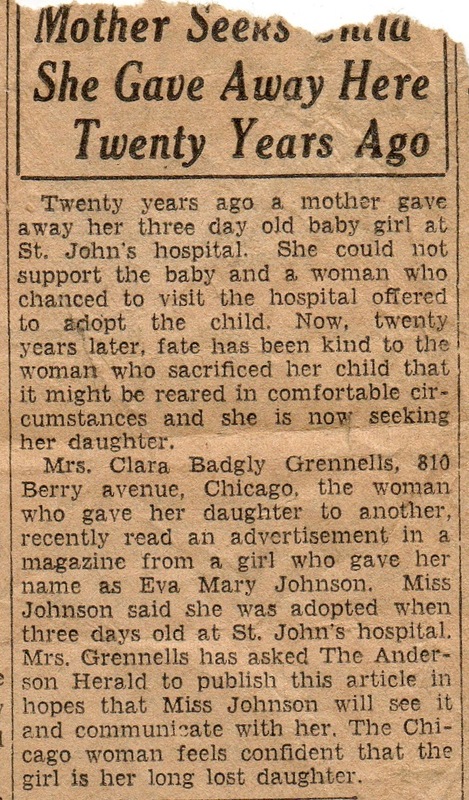 Mrs. Clara Badgly Grennells, 810 Berry avenue, Chicago, the woman who gave her daughter to another, recently read an advertisement in a magazine from a girl who gave her name as Eva Mary Johnson. Miss Johnson said she was adopted when three days old at St. John’s hospital. Mrs. Grennells has asked The Anderson Herald to publish this article in hopes that Miss Johnson will see it and communicate with her. The Chicago woman feels confident that the girl is her long lost daughter. Now it is clear why Eva believed that Clara Badgly Grennells was her birth mother and the reason why some inconsistencies were present in the news article shared in Part 1 of this series. Unfortunately, it is unknown if Mrs. Grennells ever found her birth daughter. The advertisement placed in a magazine could also be the way that John Hanrahan, Eva’s birth father, was able to find her. Distinguishing between Clara Badger and Clara Badgly and knowing approximate date of birth could have prompted Mr. Hanrahan to figure out that Eva Johnson was his birth daughter. Now, for a short summary to bring readers up to date. Eva Johnson, biological daughter of Clara Margaret Badger and John Samuel Hanrahan was born on October 5, 1910 on an interurban car outside of Fortville, Indiana. At St. John’s hospital where mother and child were taken following birth, Miss Badger asked Katie J. (Blazer) Johnson to take her daughter and raise her. Eva grew up in the home of John Lafayette and Katie Johnson. She was the foster sister of Glen Roy Johnson (my maternal grandfather) and his older brother, Letis W. Johnson. Eva married John Skinner about 1928 and they had a son, Charles. The couple and their son are found living at 1618 Cincinnati Avenue in Anderson on the 1930 census. In 1940 they are living on Main Street in Vernon, Indiana. By 1951 Eva was living in the Milner Hotel on Main Street in Anderson and working as a cook at the Romany Grill. It is unknown when Eva and John stopped living together or how long after they were divorced. By 1954 Eva had met another man and found herself pregnant. About that time it is reported that Charles and Eva had a falling out that lasted the rest of both of their lives. When Eva’s daughter “L” was born, she placed her for adoption – an ironic twist considering Eva’s desire to find her birth parents two decades previously. 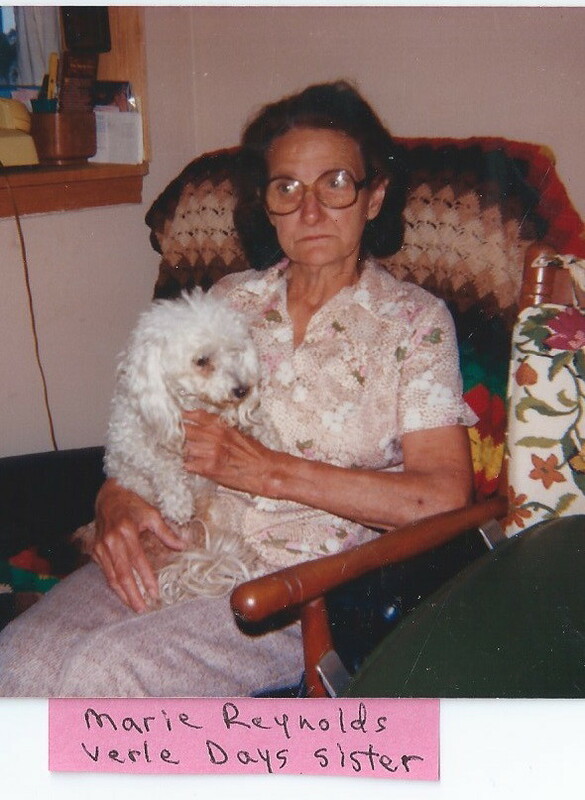 By 1955 Eva was living in Apartment 8B of the Tower Apartments in Anderson and working as a cook at a Truck Stop. Two years later the Anderson Directory shows that she is still employed at the Truck Stop but was living at 302 Mainview Apartments. “L” eventually met Eva before she died at the age of almost 81 years old. She met her half-brother, Charles Skinner, and his family and today remains in constant contact with them. As I’ve been writing this series, I’ve been contacted by descendants of Clara Margaret Badger and Howard William Day. To say that it has been thrilling is an understatement! One – Elizabeth Day Martin – shared other photos of Clara Marie with me including the one below. If you notice, she has a different married name – according to one of her granddaughter’s, Marie married two more times after divorcing Frederick Garringer. Eva may not have known that she had three half-siblings: Howard (Harold), Clara Marie and Verle Aaron. However, “L” does know that she has living cousins and perhaps at some point in the future, they will all reach out to each other. In the next installments, I wlll highlight Eva’s birth father’s family and see if I can shake any cousins for “L” out of that bunch! Clara Margaret Badger and her second husband, Howard William Day, had a two year old daughter (Clara Marie Day) and a one year old son (Howard Harold Day) when they welcomed their twin sons into the world on May 25, 1924. The couple named their sons Verle and Earl. The birth certificate for Verle shows the spelling for his name to be Verle Arron Day. Clara’s birthplace is listed as Ohio and Howard’s as Indiana. The place of birth for Verle is listed as Marion county, Indiana. As I mentioned in a previous post that it was reported on a Family Group Sheet shared on Ancestry by “sonyabayles1”, Earl died at 6 months presumably because he wasn’t able to absorb nutrition – whether it was because he was bottle-fed instead or because he had a physical issue that caused this – and he died at the age of six months. Soon after his death, Clara died. Howard Day had three children all under the age of three that he had to provide for both emotionally and financially. He turned to his surrogate “adopted” mother, Anne Chilian. She took the children in to her home and raised them. Verle, along with his sister and brother, are listed in her household in the 1930 census in Beech Creek, Indiana. In 1940, Verle is listed under his father’s “new” surname of Daley living in Chicago, Illinois along with his father, step-mother Ella, his brother Harold, and several half-siblings. One of the public trees on Ancestry has a photo of Verle in a sailor uniform but I do not have the dates or information as to when he joined the service. In another photo, he is in a dressier uniform and standing next to a Marine enlistment sign. Verle married in the early 1940s and had five daughters – three are still living. Verle died on February 8, 1993 in Taylor, Michigan where he had moved many years previous. He is buried in Wolfe Cemetery located in Georgetown, Indiana. In my last post, Who Is Clara Badger?, I mentioned that Clara Badger, birth mother of my grandfather’s foster sister, Eva Johnson, had married Howard William Day and given birth to four children – one daughter, a son, and twin boys. One of the twins, Earl, died at the end of November 1924, at the age of six months, and Clara died a month later. What happened to the other children – Eva’s half sister and brothers? Clara and Howard’s oldest child, Clara Marie Badger (not to be confused with Clara Margaret Badger, who is the subject of this series), was born on February 5, 1922 probably in Indianapolis. Her birth came just 24 days after her parents, Clara Margaret Badger and Howard William Day were married in Marion county. Little Clara lost her mother when she was not quite 3 years old. In the 1930 census, she is living in the home of Anne Day in Beech Creek, Greene county, Indiana. (Anne was never a “Day” – she was Howard’s “adoptive” mother and there was no blood relation.) In the same household was Anne’s brother, Henry Chilian, and Clara Marie’s brothers – Harold and Verle. Anne is listed as the children’s grandmother. Their father, Howard Day, is not living in the household. When Clara was just a tad over 16, she married Frederick A. Garringer in Marion county on June 5, 1938. 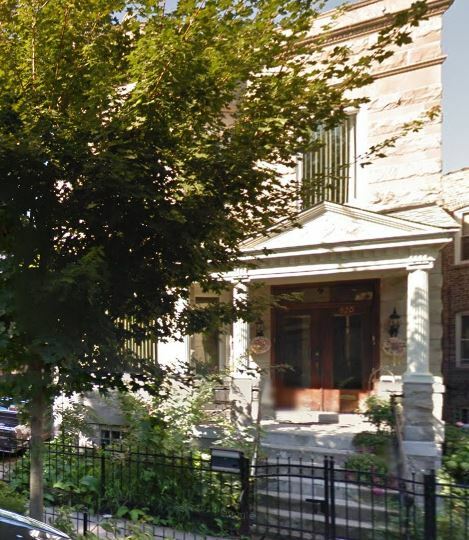 Two years later, the couple is found in the 1940 census living at 2449 Van Buren Street in Chicago. Their residence was one of several in an apartment building. They rented their apartment for $13 a month and was a few blocks from Lake Michigan. She is age 18 and he is listed as age 25. Clara only completed the 8th grade but her husband had finished one year of high school. Both of them worked for a wet wash laundry. He was the night watchman and she was a “shaker.” In 1940, they are also listed in the directory for Indianapolis living at 2828 Clifton, Apt. 7, and listed Fred’s occupation as a laborer. I don’t know if they moved back to Indy from Chicago or vice versa. Clara Marie (or “Marie” as she was frequently called) and Fred had a son and a daughter. Marie and Fred’s son, Fred Arnon Garringer Jr. was born on November 14, 1940 in Indianapolis and died on August 27, 2014. He and his wife had five children and twelve grandchildren. Their daughter, Mary Margaret Garringer was born on October 4, 1942. She married John R. Atkins. Mary died on December 3, 1986 in Martinsville, Indiana. 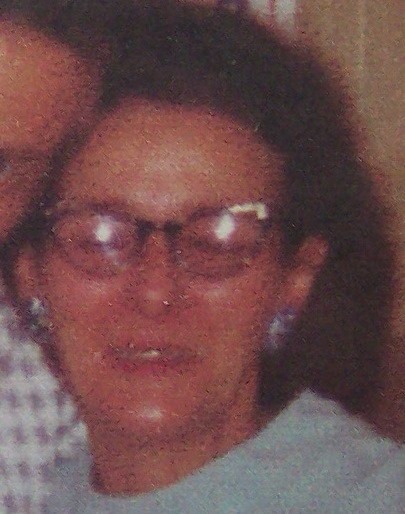 Clara Marie Day Garringer died on January 18, 1997. Her husband, Fred A. Garringer died 16 years earlier on May 13, 1981. They are both buried at Crown Hill Cemetery in Indianapolis. Armed with what seemed to be the correct names of Eva Johnson’s biological parents, I decided to see what I could find in online databases of FamilySearch. It wasn’t the primary name of Clara Badger that steered me to the correct person, but instead it was the name of another – “she wanted to marry Fred Blackburn.” As soon as I plugged in the primary name of “Clara Badger” with a spouse of “Blackburn,” I received a hit. In the Indiana Marriages from 1780-1992 index, a record popped up. Fred Blackburn married Clara Badger on May 13, 1911 in Marion county, Indianapolis. Clara’s parents were listed as Edmund Badger and Myra Sprankle. That was just seven months after Clara gave birth to Eva. 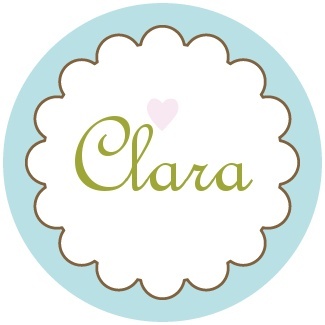 I had finally found the correct person as well as had the names of Clara’s parents! In another index, her father is listed as Edward Badger. When she married Fred Blackburn, Clara’s age was reported as 19 which would put her birth about 1892. Her place of birth was listed as Covington, Indiana located on the western side of the state in Fountain county. Other items I found include a listing in the May 14, 1911 edition of The Indianapolis Star on page 32 that Fred and Clara received a marriage license. Armed with that information, I was able to locate the family in the 1900 census living in Indianapolis. Edward, age 38, is listed as the head of house. His month and year of birth is not listed. His place of birth as well as his parents is reported as Indiana and his occupation is a helper at a saw factory – probably at E.C. Atkins & Company located on South Illinois in Indianapolis. The home at 509 Senate Avenue where the family is residing is rented. Today, the address shows up on Google Earth as being in the middle of the street with the Cosmopolitan apartments on one side and a small building of stores on the other. The wife’s name on this census is listed as Miriam, age 26, born in Ohio. Her month and year of birth is also not included. Her father was born in Pennsylvania and her mother in Ohio. She can read but not write. Their children living in the home – all born in Indiana – include Clara, age 8, born December 1891; Albert, age 6, born September 1893; Theodore, age 5, born May 1895; Ethel, age 2, born June 1897; and Jessie, age 9 months, born September 1899. The household also includes Edward’s brother, Albert, age 40, born in Indiana. This census provided names and ages of not only Clara’s siblings but also of an uncle and indicated birth places for both sets of her grandparents. The discrepancy was the year of her birth. According to the 1900 census, it was December 1891; however, I have found more than I care to count the number of times the census year is a year off from the birth year. That really didn’t bother me, but it was something to consider moving forward. If the information above is believed, then Clara married Howard Day one day after she divorced Fred Blackburn. In the November 9, 1920 edition of The Indianapolis Star under News of Courts for Superior Court is an item that reads: “10584. Clara Blackburn vs. Frederick Blackburn. Divorce. Morris A. Silverman.” In The Indianapolis Star on December 23, 1921 reports the same type of case except this time it was Fred Blackburn vs. Clara Blackburn. That would mean she and Fred had been married for almost eleven years without having any children. The marriage certificate lists their full names as Howard William Day and Clara Margaret Blackburn and shows they applied for a marriage license the same day they were wed by a minister who signed his name as G.E. Dething. The story on a Family Tree in Ancestry continued to report that they had four children: a daughter, Clara Marie born a month after their marriage, a son Howard born a year later, and twin sons, Verle and Earl, born the following year. Now if I was the speculating type (and in genealogy that is a big no-no! ), I would presume that there was a good chance that Fred Blackburn had not been able to father children, the couple ceased having marital relations, they found a good form of birth control, or they were living apart most of their marriage which would make sense if Clara and Howard’s first child was born soon after their marriage. The (1) author of the story on Ancestry is not known although the date of the report is September 23, 2003 and uploaded to the family tree by “sonyabayles1.” Continuing, it is reported that one of the twins (Earl) died at six months of age from not being able to get proper nutrition as he was bottle fed(probably not able to absorb nutrients) while the other twin was breast-fed and that Clara died soon after of pneumonia. If the twins were born the end of May and Earl died in November or early December, that could put Clara’s death as toward the end of 1924. Eva’s report in her letter of Clara dying on Christmas of 1928 was incorrect as her birth mother really died four years before. In the previous post, I had asked the question as to how and from whom Eva had received the information about Clara. Was it from her birth father, John Hanrahan? It seems unlikely that he had first hand knowledge – especially since the years of Clara’s death was off by four years. Had Eva met Clara’s father – her biological grandfather, Edward? And if she had met him, wouldn’t he have given Eva a more accurate date of death as well as to mention that she had three living half-siblings? Could those half-siblings have been re-created in her letter as step-children of John Hanrahan? The children Eva had reported as “jealous” of her? Moving onward with the search, I came across the 1930 census that showed Clara’s three surviving children were living with a woman who had raised their father, Anne Chillian, in Greene county, Indiana. The children were listed as her grandchildren. At one point, I had information overload as I realized what all this could mean to “L” and her thirst for information. I kept finding records for Clara’s parents and other family members. But just how far back could I take this search and what surprising piece of information would I be able to find?